Nothing is more perfect than a couple's very special day. 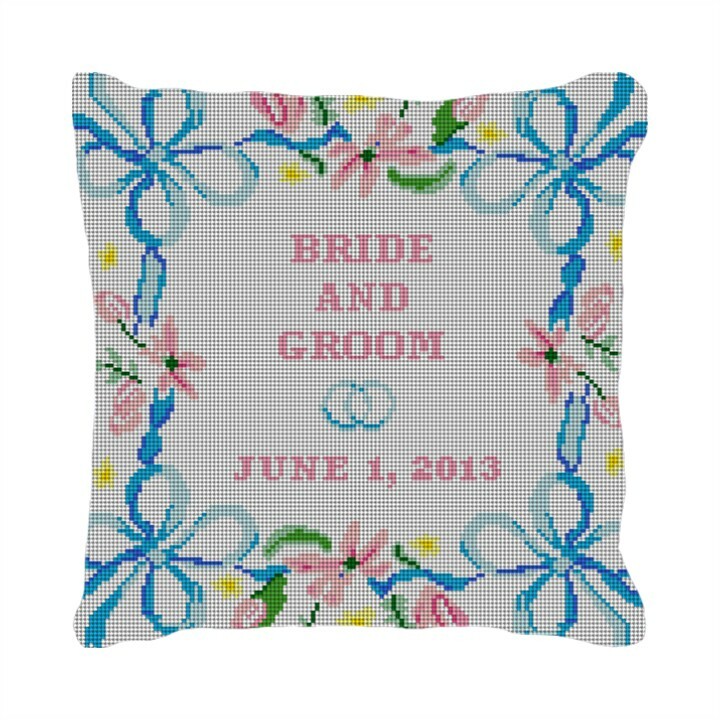 This ring pillow is ideal for the couple who ties the knot in spring or summer. Note the detail of the stitch work, and feel like a true giver of good gifts when you sew your own needlepoint pillow.